Recolors of Sofya’s 3t2 conversion of Armiel DIY Build set requested at Sim Pearls. 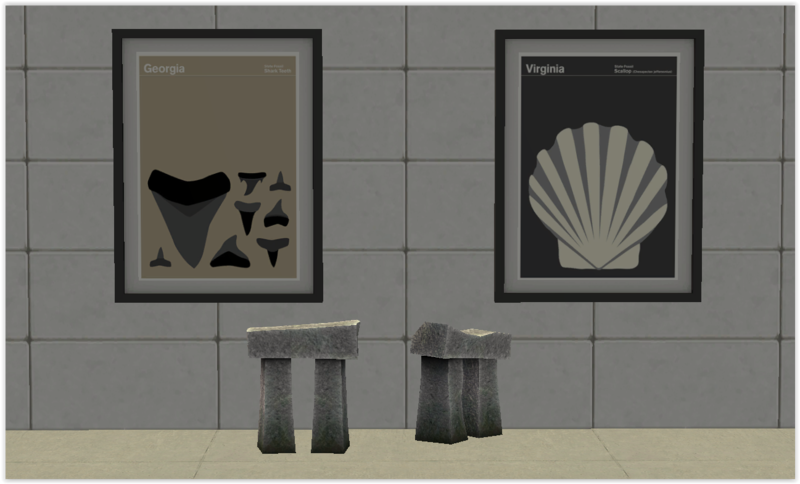 There are five recolors of all the fences and master meshes in amythestfenix’ columbine, maxis whitewash and blackwash. Only the master meshes are included excepting for the fences. With the fences, you need the base mesh included in this download for the fence recolors to show up. Fences have latch recolors in shastakiss’ metals. If you would like to take a try at making more recolors, here are some recolor resources for you to use, too. 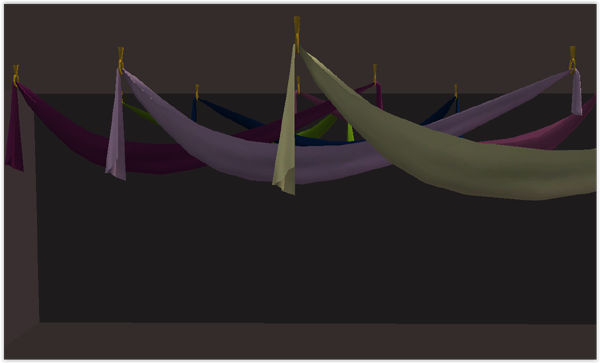 Recolors of Amotvitasim’s 3t2 conversion of the Folding Banderole streamers from the Romanza stuff. 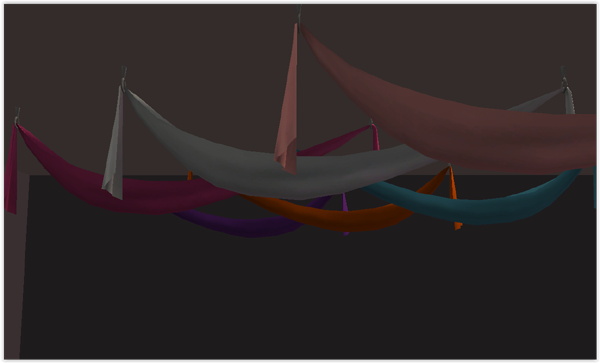 Comes with either silver or gold hanging hooks in Luasims’ pallette: Download. TombstoneOfLife&Death’s 4t2 shoe rack conversions without the shoes on them. Has two subsets. And then I made all the shoes, as well. Here are my three little things from last month’s Spooky Dip at GoS, along with some recolors I did up for The Wishing Tree and some monthly theme items. First up a 4to2 conversion. I would love to credit the original creator but I have lost it, the set is only marked with “kk”. Includes additional deco pieces – separated and a larger version of the little yellowish critter. 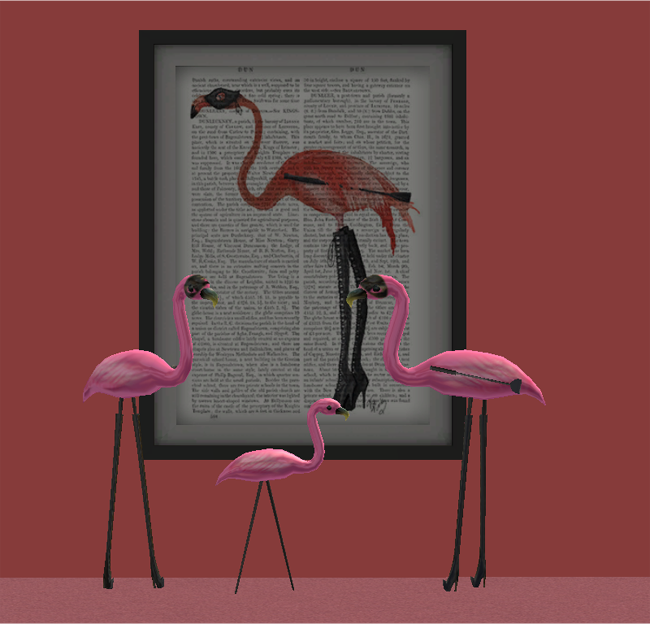 Painting recolor and a rather “shocking” version of the Shocking Pink Flamingo inspired by print. 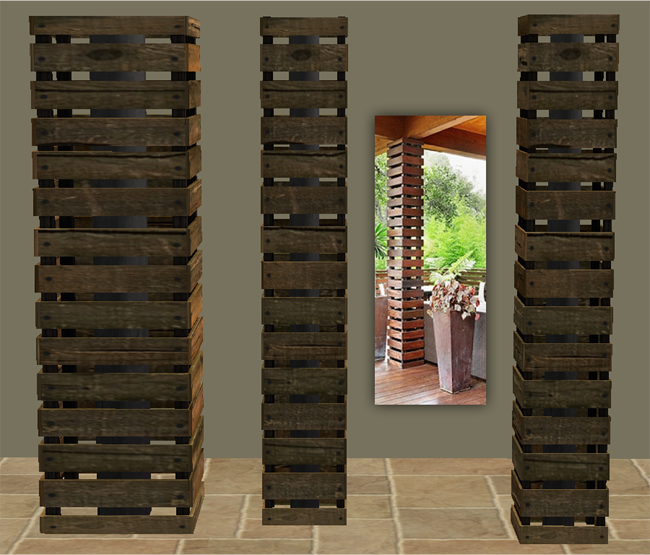 Columns inspired by designer pages. 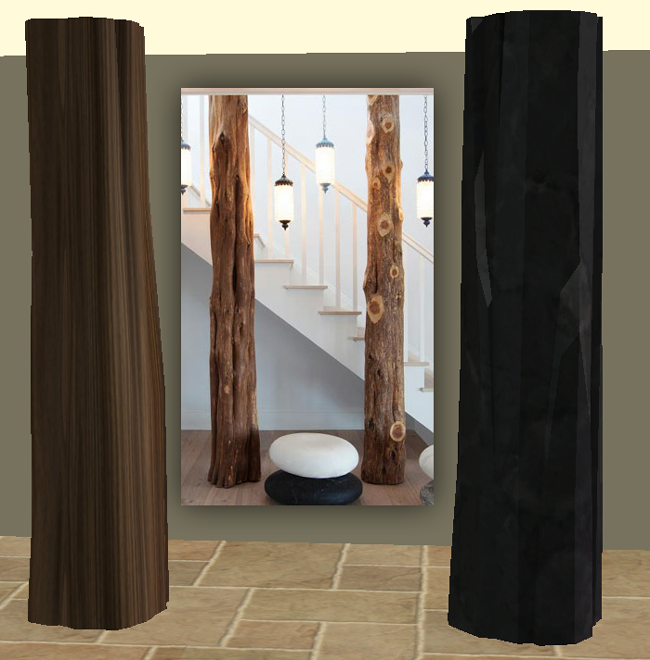 The smaller versions of Column 02 have one centered and one in the corner. 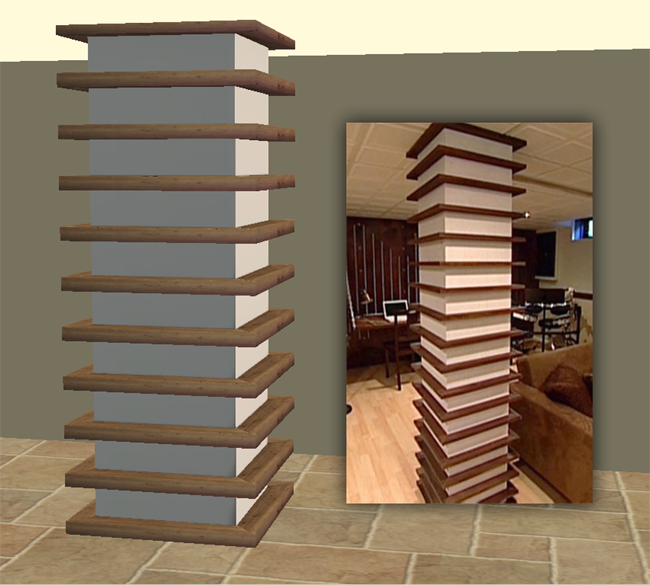 I used HugeLunatic’s corner version of an Maxis column for the base on that one. Samara’s Pit from The Ring. Samara is not included, she’s a mesh by Milla. 3to2 conversion of Murfeelee’s AMR London Drinking set. This is a long overdue update for these meshes that I converted from Tea-n-moon and Deetron X quite some time ago. Theraven took my conversions and added slots to them and made some plants from other meshes to put in them. Here’s Theraven’s preview and the new updated meshes. Comes with all the Ever So Lovely recolors found in my original conversion. Theraven’s download page at their blog is HERE. Next up are two sets of recolors I made and they just sort of sat around waiting for the new and improved meshes in the backwaters of my pc. Fruit Punch recolors in the top pic and Shastakiss’ Yeti Pallette in the bottom pic. 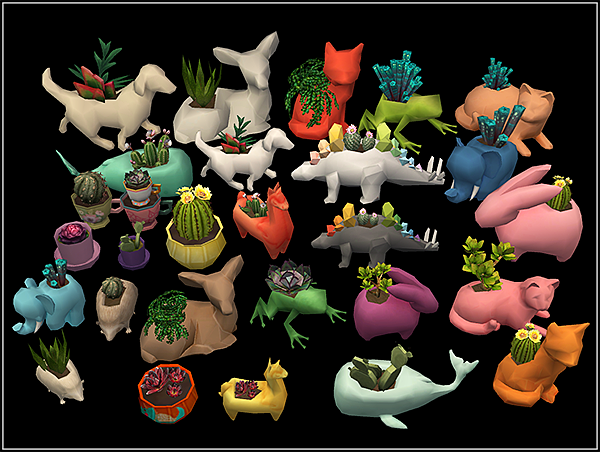 First up, a set of recolors I made for MLC’s Tseng Painting mesh awhile back. I have this folder full of stuff I did up that’s been waiting ages for it all to get uploaded. I love making stuff, I don’t love taking previews. The master mesh is included for MLC’s Philip Tseng Painting set, if you want the rest of the sizes in the set, download them HERE. Sorted, swatched, compressed. 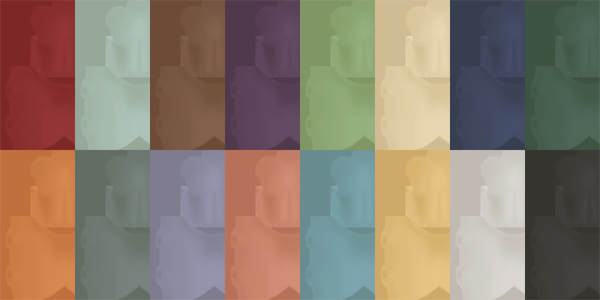 Another set of various recolors on the same mesh. These are sorted, swatched and compressed. Includes master mesh. Six recolors of Veranka’s 4to2 conversion of “Otter Be A Star” painting. Mesh included. Prints on my Boston painting mesh. These are the fifty United States. Mesh included, swatches, compressed. 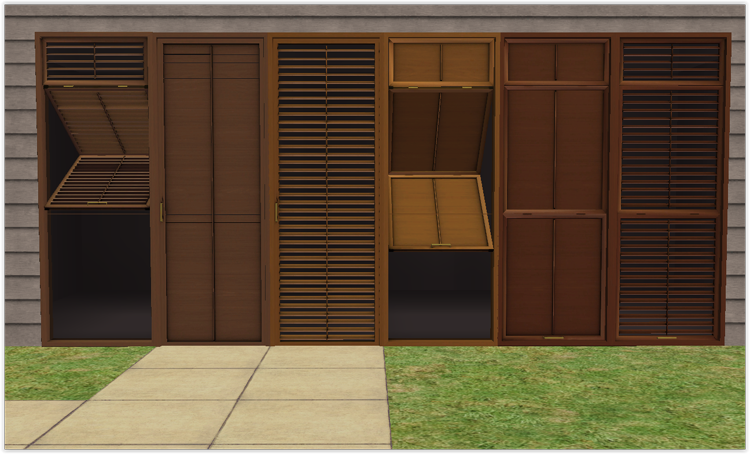 More recolors of Tinkle’s Shuttered Porch doors and windows set. You need to get the meshes from the link there. 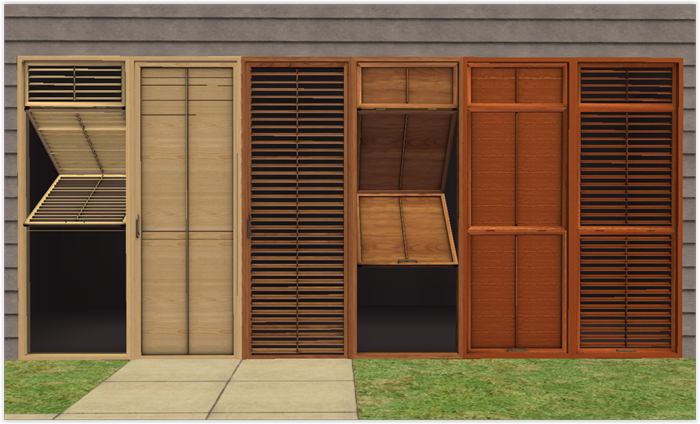 First up, a set in iCad’s wood colors using HafiseAzale’s textures. This set has twelve colors, not including the weathered tones. Sorted, swatched, compressed. 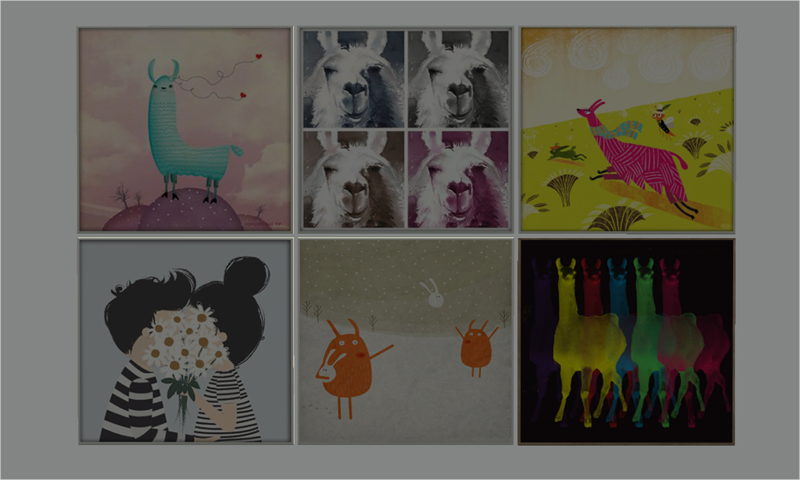 Download Shuttered Porch – iCad Woods. Next up, a set in Fruit Punch for people that like some pop in their homes. 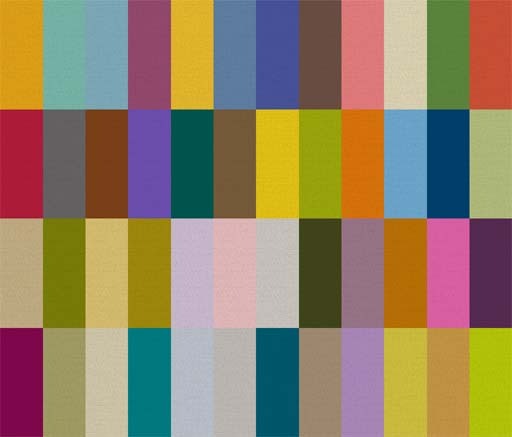 Sixteen fruity colors. Sorted, swatched, compressed. Download Shuttered Porch – Fruit Punch Woods. 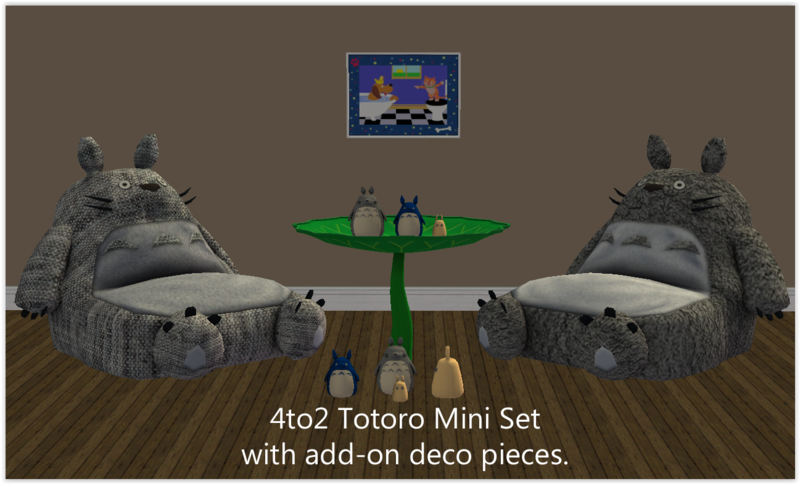 And lastly, a set using woods from 3D-Diva. Another sixteen woods. 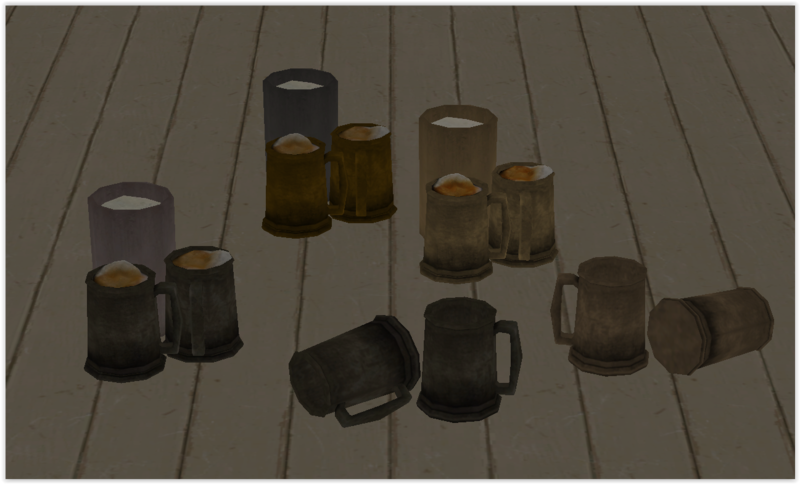 The old log cabin recolors also have some antique brass texture from who knows where anymore – I’ve had it for ages. Sorted, swatched, compressed. Download Shuttered Porch – Diva Woods. Here are a bunch of hairy skins I did up for a request by Jokedam at GoS using AllenABQ’s hair overlays on Lilith’s Honeyblend skins in sunset, sunheat, sunkiss and light rose. Each set comes in the four skinblends and each of the four basic hair colors : black, blonde, brown and red. This is cross-posted with Sim Pearls. 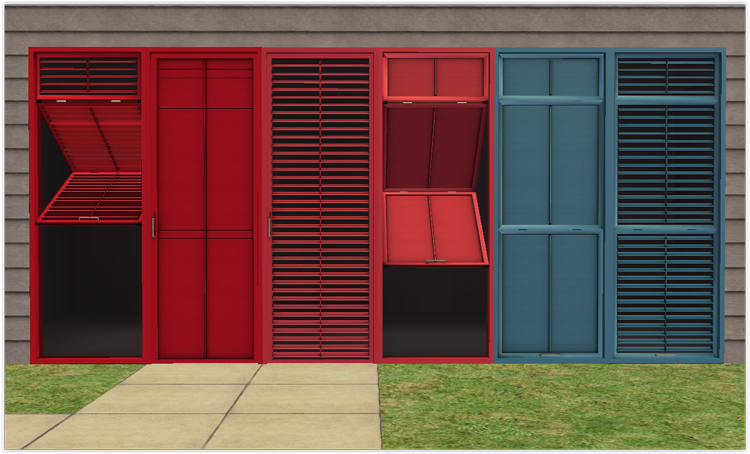 I love Tinkle’s Shuttered Porch set of doors and windows and made oodles of recolors for them. I even have three more sets I just finished last week that need previews, so more will be coming. You need to download the meshes HERE from her post at Sim Pearls since it would be redundant to include them with each set of recolors. D. Pirate Woods using Shastakiss’ textures. F. Assorted wood textures from all over the web. Files are sorted , compressed, swatches included. A. LACK recolors using amythestfenix’s painted wood textures. No black or white since these are the two colors the set comes with. B. Pushing Daisies recolors using amythestfenix’s painted wood texture as a base for LunaCress’ Pushing Daisies pallett from her Blind Date gift to Shastakiss. 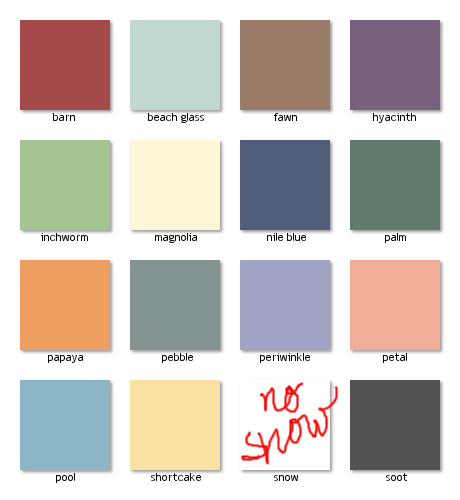 NO black or white from this color pallett, either. 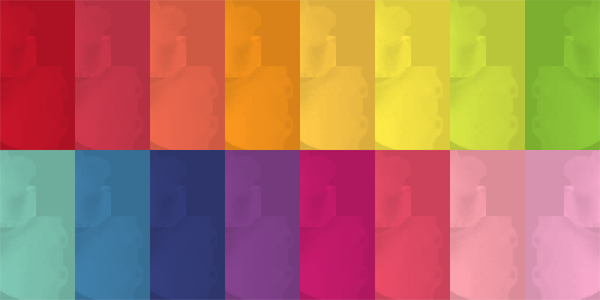 And then I thought, ‘Oh, wouldn’t these look even lovelier if they had shading?’ so I made myself some multi’s. 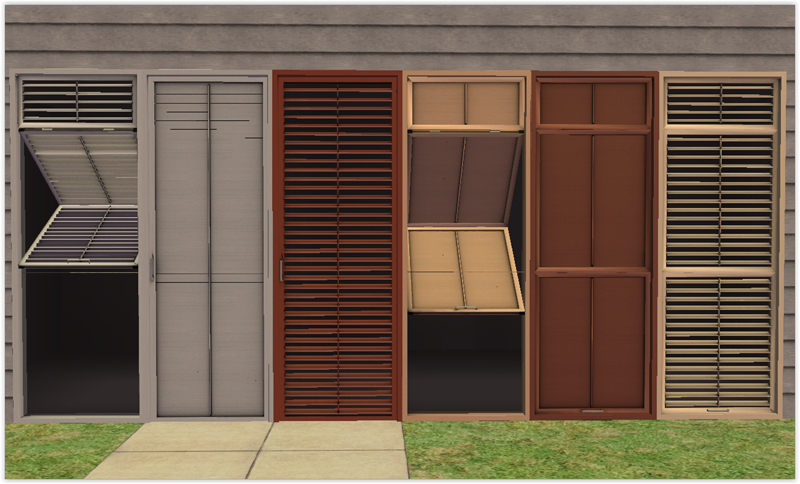 C. MALM recolors in silver, redwood, oak, brown and birch using amythestfenix’s painted wood texture as a base. This is old but I finally found where I hid on myself on my pc. Along with oodles of other goodies that I need to get proper prev’s of and such. This is a conversion of SimpleStudio404’s minimalist cup with recolors by budgie2budgie and fruit punch solid recolors. There are also some Batman recolors of electrodj’s pronto cup included. I made these for last year’s DOTY and when rounds were done, I just moved things out of my downloads folder to wherever the mood took me at the time and I’m still finding things all over my pc. Some of these places make no sense to me at all , now. LOL. They should be compressed.